They might share the same engine, but the pair of Rover V8s for sale at this weekend’s Historics at Brooklands sale couldn’t be more different. Rover P5B or P6 3500: Big Cheese or Big Chris. Harold Wilson or Vinnie Jones. Single smoking pipe or two smoking barrels. 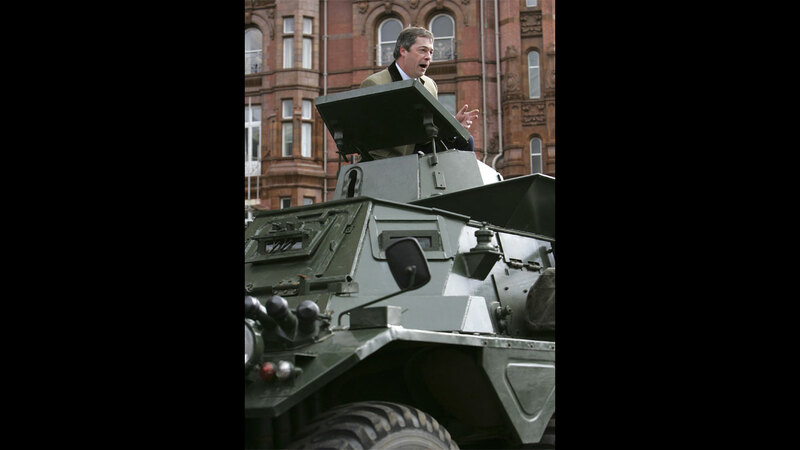 Downing Street or the mean streets of London. What kind of power are you after? Don't miss our #auction @BrooklandsMuseu this Saturday 7th at 10am. We have over 180 fantastic cars #forsale. Launched in 1958, the P5 was the flagship of the Rover range and the quintessential British luxury car. 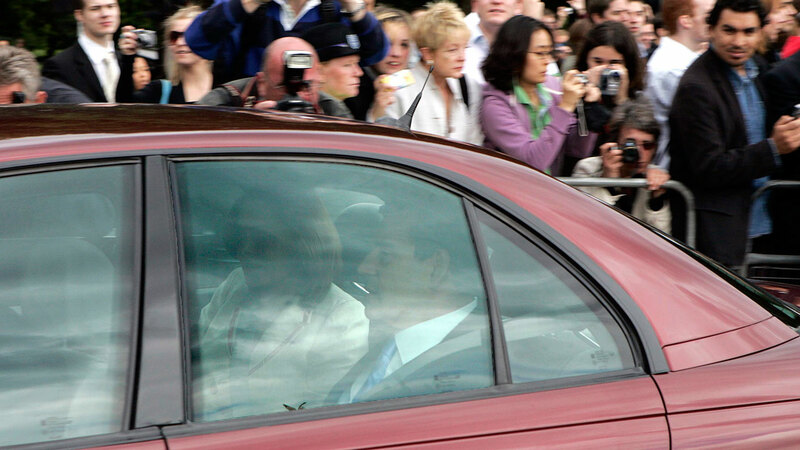 It oozed presence, stemming from a time when Rover could stand shoulder-to-shoulder with the world’s elite. 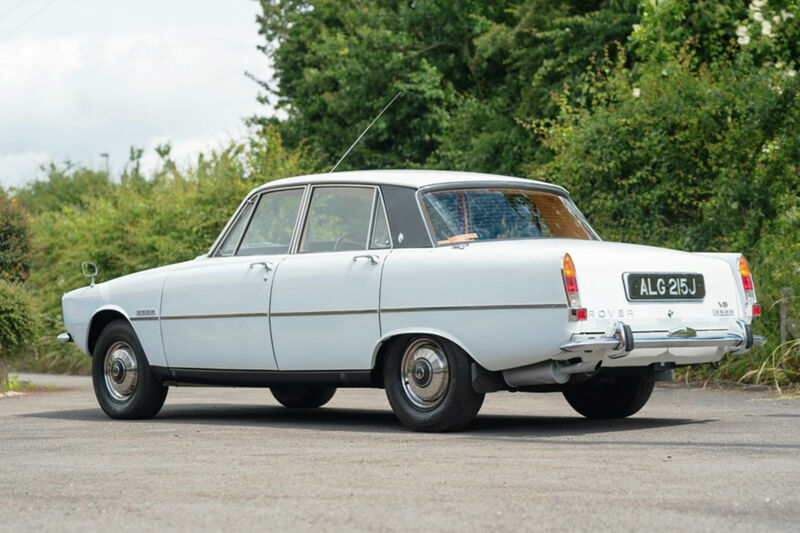 The P5B arrived in 1967, just as the original 3.0-litre straight-six P5 was beginning to show its age. 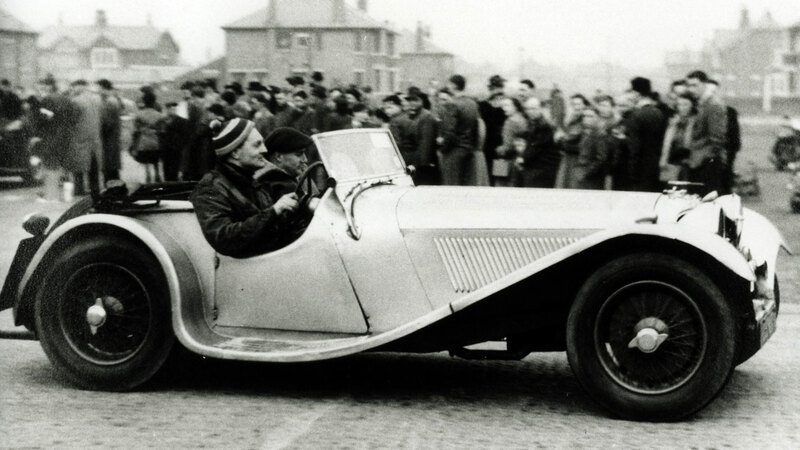 Rover developed the Buick V8 to create a car with a real sense of pomp and circumstance, with the ‘B’ in P5B a direct reference to the American car company. 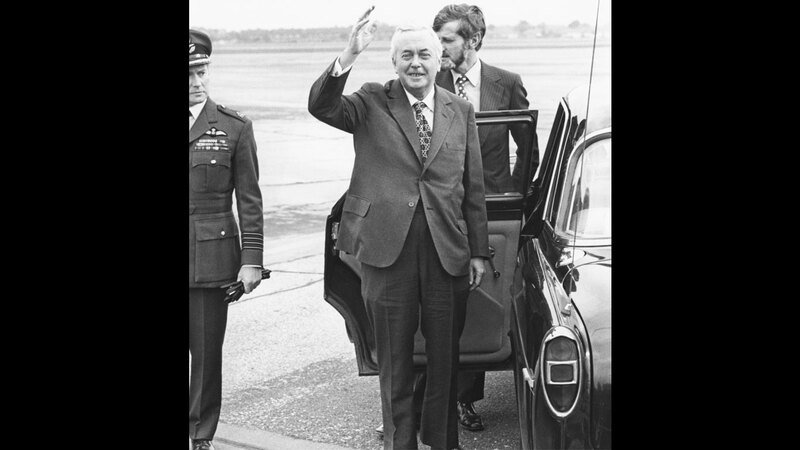 Harold Wilson was the first Prime Minister to use a Rover P5B for ministerial duties, and he had a pipe ashtray and matchbox holder installed in the back. 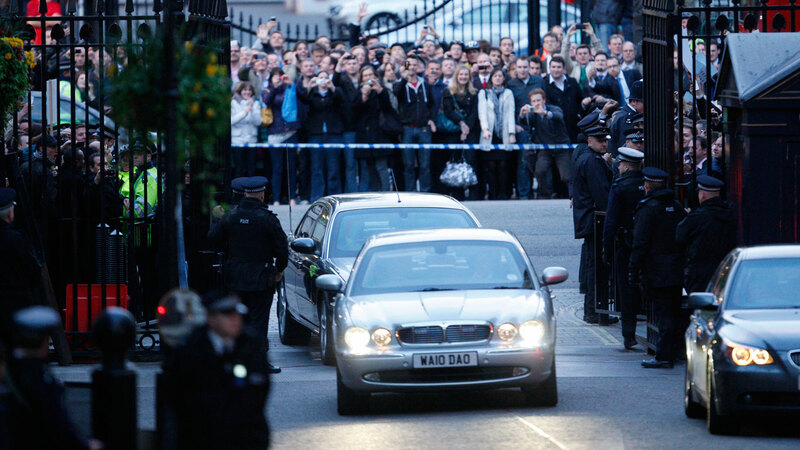 It was a familiar sight outside Number 10, with successive PMs falling for the charms of the graceful Rover. 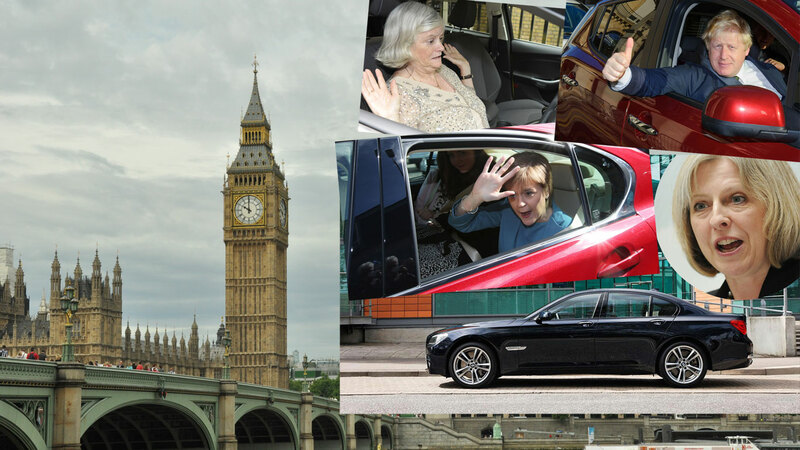 Margaret Thatcher was the last Prime Minister to enjoy life with a P5B. 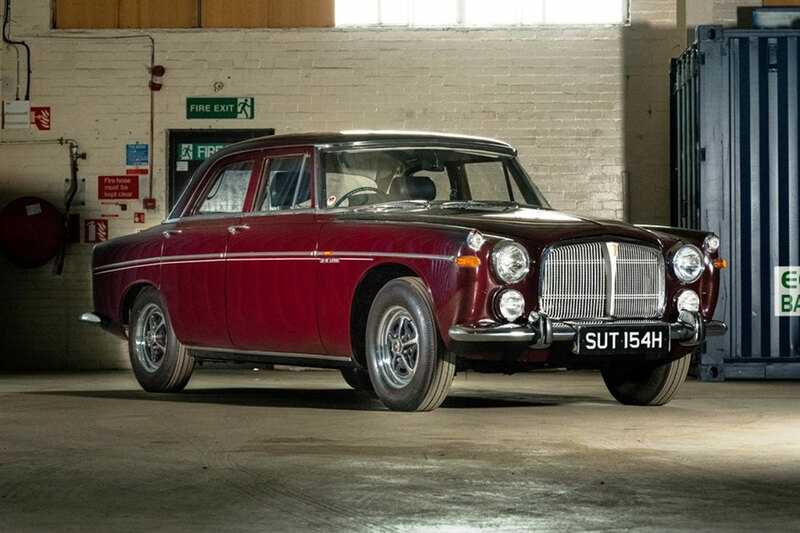 Given the mileage and condition, the Rover P5B on offer at the Historics of Brooklands sale would be fit for a King or Queen, let alone a Prime Minister. Registered in August 1969, the car was purchased by a Mr Freeman in Leicester, who used the Bordeaux Red car sparingly until his death in 1985. 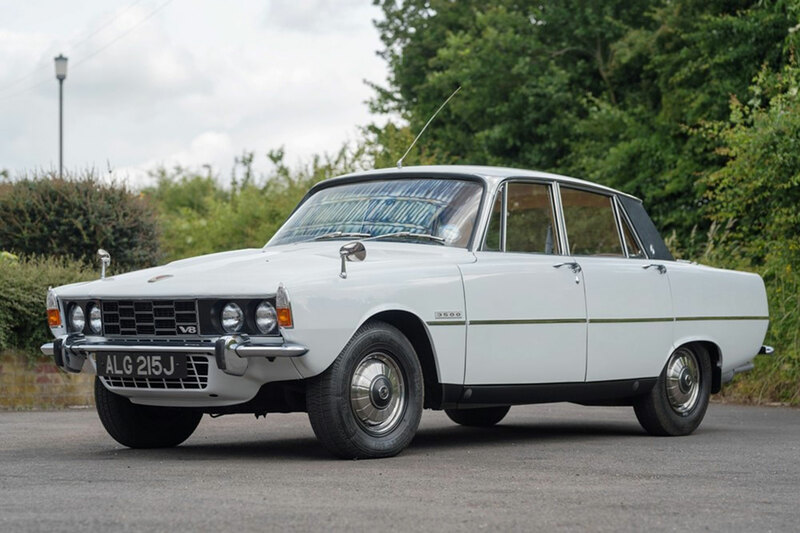 Unveiled at the 1963 Earls Court motor show, the Rover P6 was a monumental leap forward for the company. 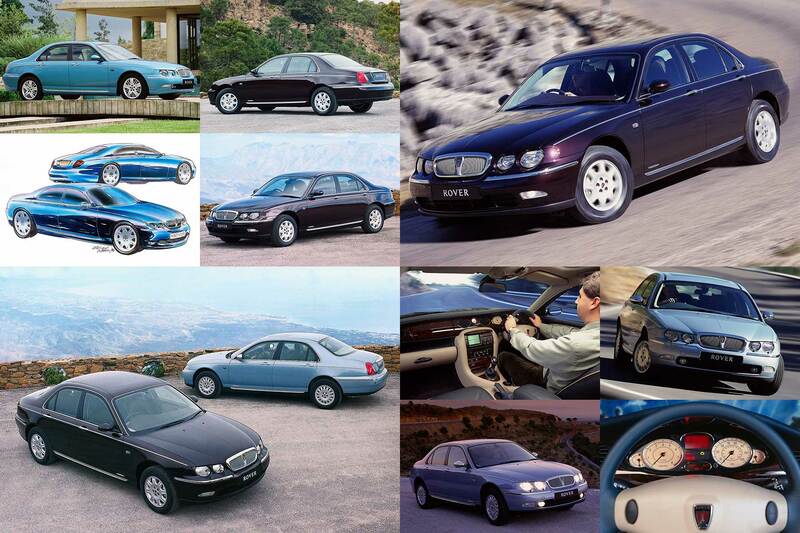 It’s hard to believe that, for a year at least, the old and dependable P4 was sold alongside the P6 in Rover showrooms. In common with the P5B, the arrival of the 3500 V8 in April 1968 finally delivered the performance to match the styling and refinement. 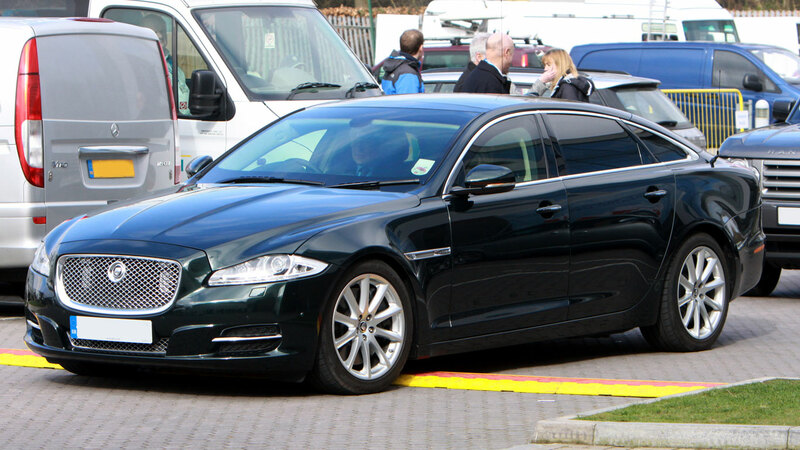 It was not an out-and-out sports saloon, like say a contemporary Jaguar, but the smooth and relaxed performance was most welcome. Little wonder, then, that the THREE THOUSAND FIVE became a firm favourite of the police, not to mention those who were determined to live on the wrong side of the law. A Rover P6 and Vinnie Jones in Lock, Stock & Two Smoking Barrels was a match made in Bethnal Green. A facelifted Series II model was unveiled at the 1970 Paris motor show, which makes the Historics car one of the first examples to benefit from the new styling. Registered in June 1971, the Rover was sold to a Mr Edgar Morris of Bootle, who used the car for high days and holidays. 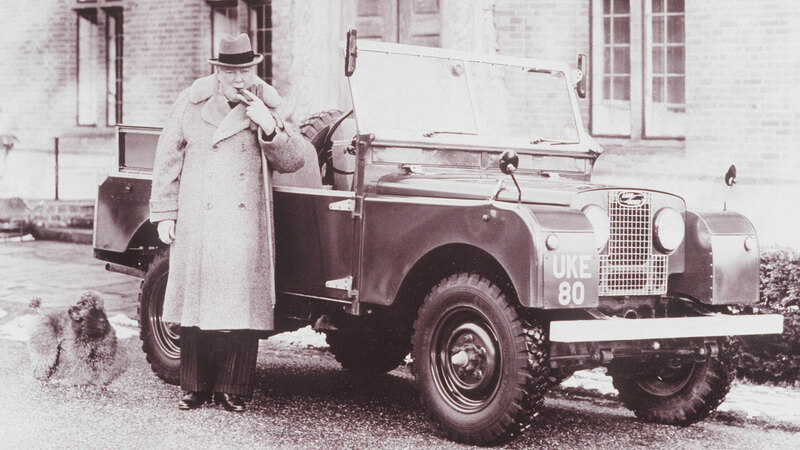 When Mr Morris died 25 years later, the car had covered just 3,200 miles, with the second owner adding only 124 miles in eight years. 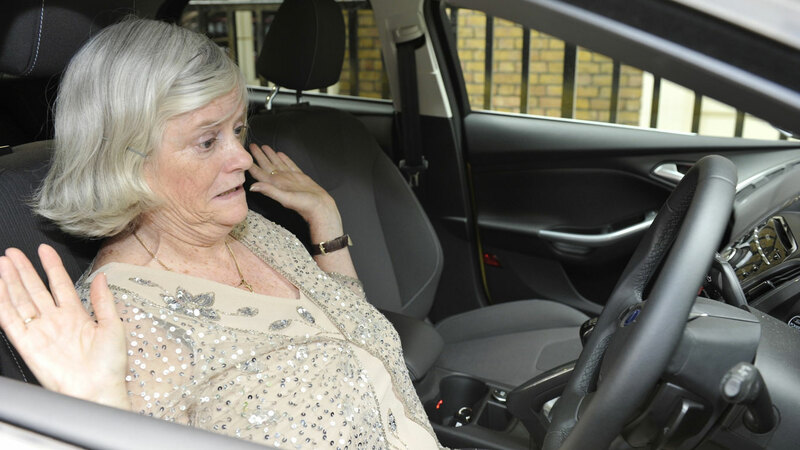 In 2004, the car was purchased and recommissioned, with the owner stating that everything was original. According to Historics, this is “possibly the best P6 you will ever find”, not least because it has just 9,900 miles on the clock. Estimate: £10,000 – £15,000. P5 or P6: whichever one you prefer, it’s been emotional. The Historics at Brooklands sale takes place on Saturday 7 July 2018 at the Brooklands Museum, Surrey. 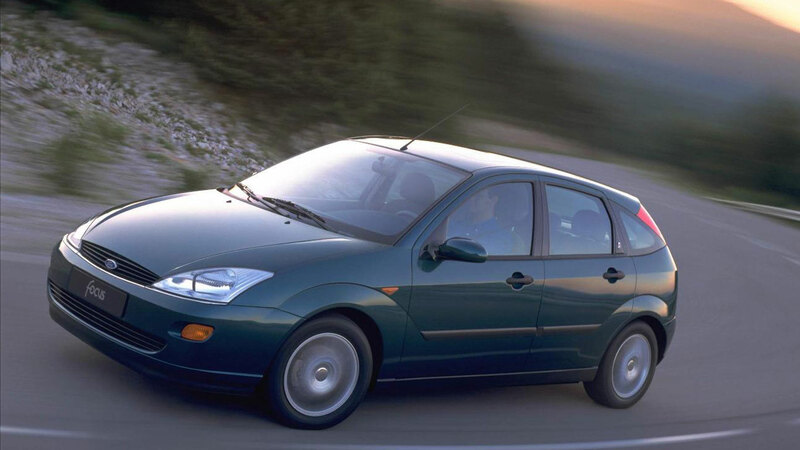 Oxford United has come up with an unusual way to improve players’ performance – threaten them with a Rover Metro if they lag behind during training. 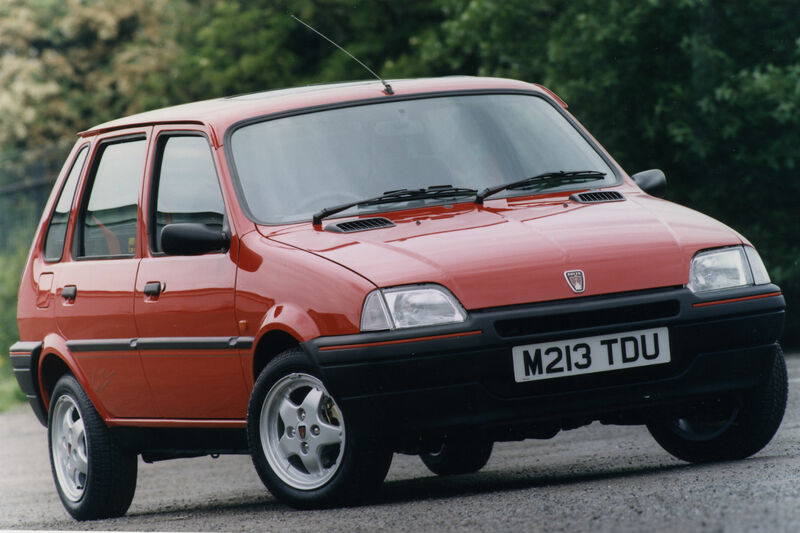 Coach Pep Clotet has bought the L-reg Metro and given it a distinctive facelift, with a pink roof and yellow go-faster stripes. He told the Oxford Mail he’ll award it to the player who puts in the worst performance in training. Midfielder Josh Ruffels was one of the first to get a glimpse of the retro Metro when it arrived on Wednesday. “You’ve got to drive it in for a week, so we were having a laugh in it testing it out,” explained the footballer. “It should be quite fun when it starts, but the pressure’s on. The 23-year-old car has covered nearly 100,000 miles and required a substantial amount of welding to get it through its last MOT test. 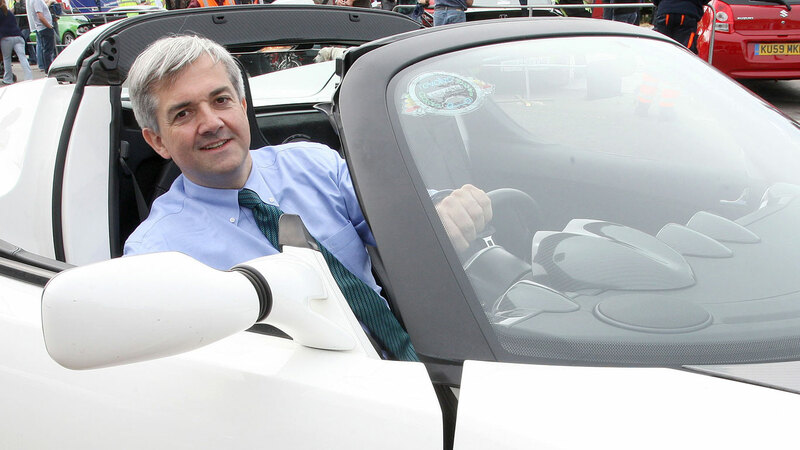 It’s a contrast to former premier league champions Leicester City, whose chairman treated players to a fleet of BMW i8s last year. Did this footballer brag about owning ‘three more’ cars after Lambo crash? 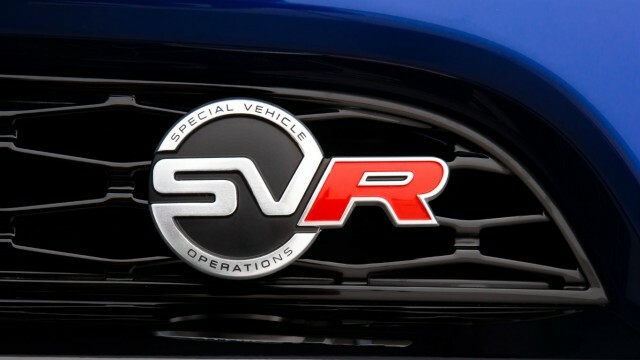 BMW has M series, Mercedes-Benz has AMG… and now Jaguar Land Rover has SVR. And how better to launch a performance sub-brand than by shoehorning the 550hp V8 from the Jaguar F-Type R into a Range Rover Sport? The result is an SUV with performance to embarrass many sports cars. All that power comes at a price, though: around £95,000 before options. 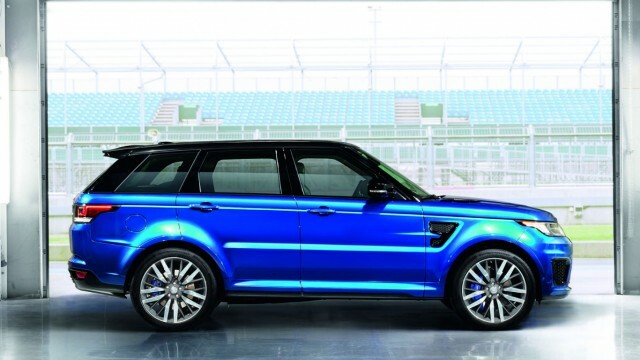 This is the first of many SVR models to come from Birmingham-based JLR. Expect to see SVR versions of the Range Rover Evoque, Jaguar F-Type and Jaguar XE in due course. No surprise that most of the SVR’s rivals hail from Germany. The 575hp BMW X5 M, 585hp Mercedes-Benz GLE 63 S AMG and 520hp Porsche Cayenne Turbo all offer comparable performance for (not much) less than £100,000. Alternatively, for a few dollars more, there’s the £160,000 Bentley Bentayga. 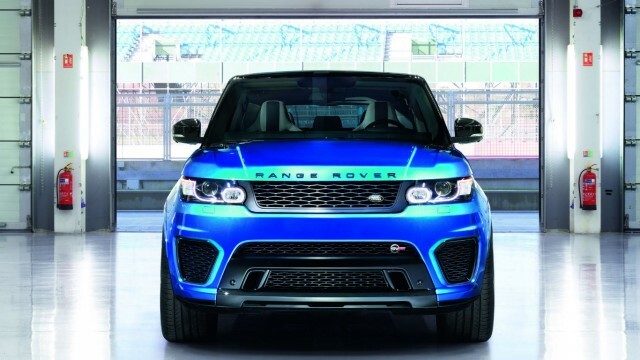 Despite boasting a 608hp W12 engine, it’s a less sporty proposition than the SVR. However, if you want the ultimate SUV, the Bentley fits the bill. The thunderous V8 from the Jaguar F-Type R certainly hasn’t been toned-down here. Exhaling through four monster tailpipes, it spits, pops, growls and roars. Open the exhaust flaps via a button on the dashboard and it’s downright anti-social. Nothing this side of a TVR turns more heads. Fortunately, the SVR isn’t all mouth and no trousers. With 550hp and 507 lb ft of torque, it sprints to 62mph in 4.7 seconds. 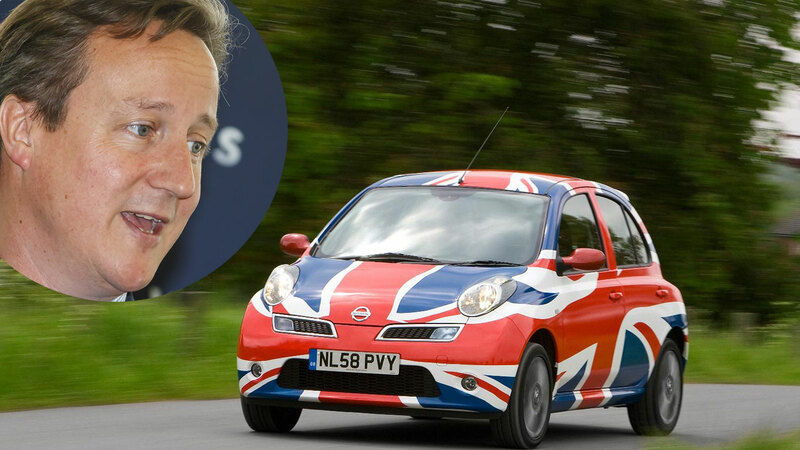 Top speed is 162mph – not bad for something with the aerodynamic properties of a garden shed. An eight-speed semi-automatic gearbox is standard. The sportiest Range Rover Sport is dominated by its engine. It’s absurdly, hilariously quick – you’ll need Tibetan-monk levels of self-restraint to stay within the law. All that torque makes it an effortless motorway cruiser, though. Shame the ride is so firm around town, but that’s the price you pay for track-honed handling. Track-honed? 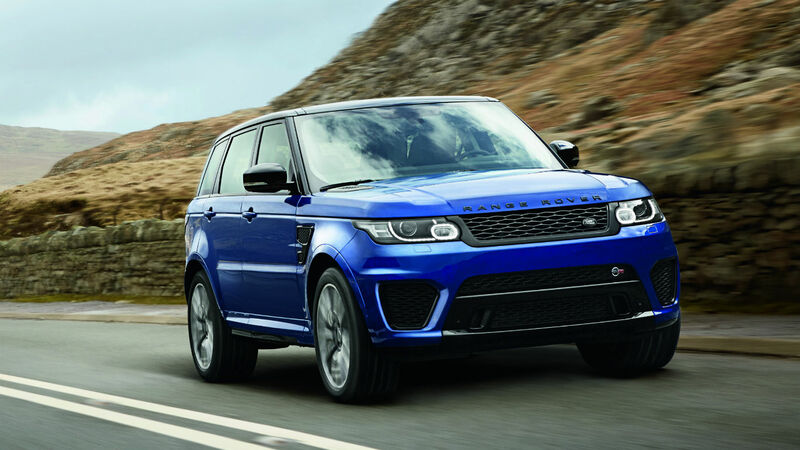 Yes, the SVR may have the usual Terrain Response off-road gubbins, but many of its development miles were spent at the Nurburgring – and it shows. It changes direction with an agility that’s almost unbecoming of a 2,335kg SUV. There’s a huge amount of grip and the brakes offer more bite than a Great White. Only a Porsche Cayenne comes close for driving excitement. Let’s start by saying that if you buy a £95,000 4×4, you can presumably afford to run it. 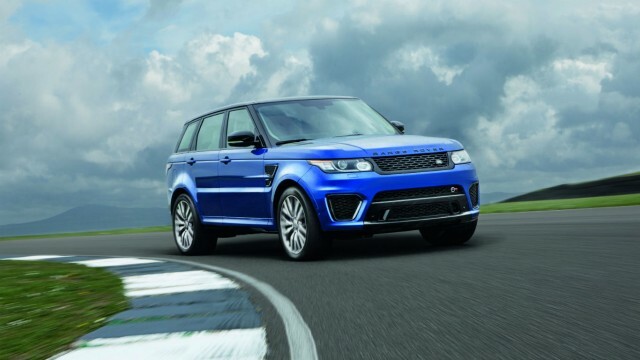 Even so, the SVR’s official 22.1mpg thirst will make a big hole in your bank account. And we managed nearer to 15mpg in a mix of town, B-road and motorway driving. Compare that to 45.6mpg for the 340hp 3.0 SDV6 diesel. 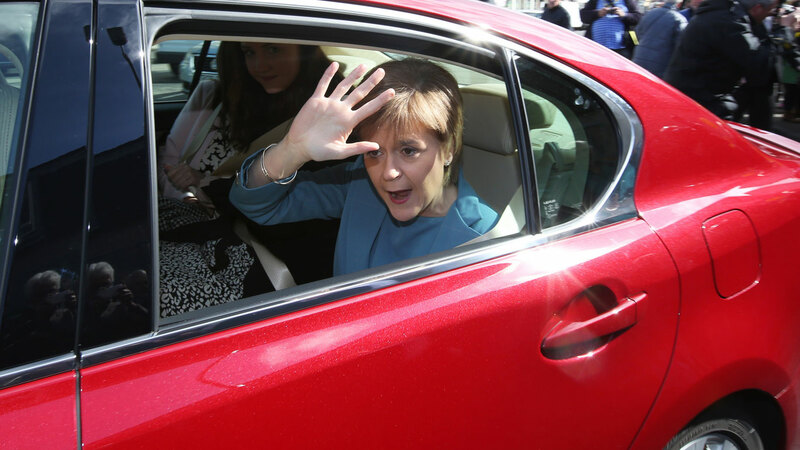 CO2 emissions of 298g/km put the SVR in the top band for annual car tax (VED), too. You’ll pay a hefty £1,090 in the first year. then £505 per year thereafter. Not all SUVs are as spacious as they look (have you sat in a Porsche Macan? 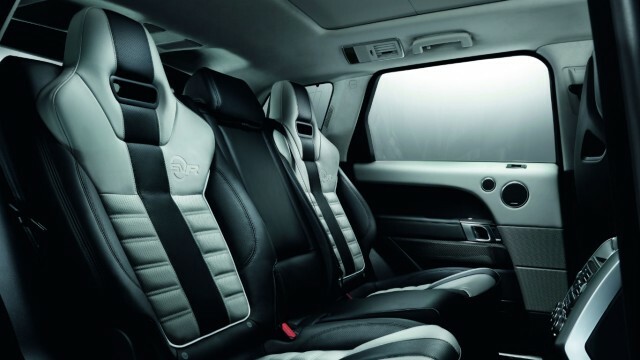 ), but the Sport’s boxy lines do translate into a lot of interior room. 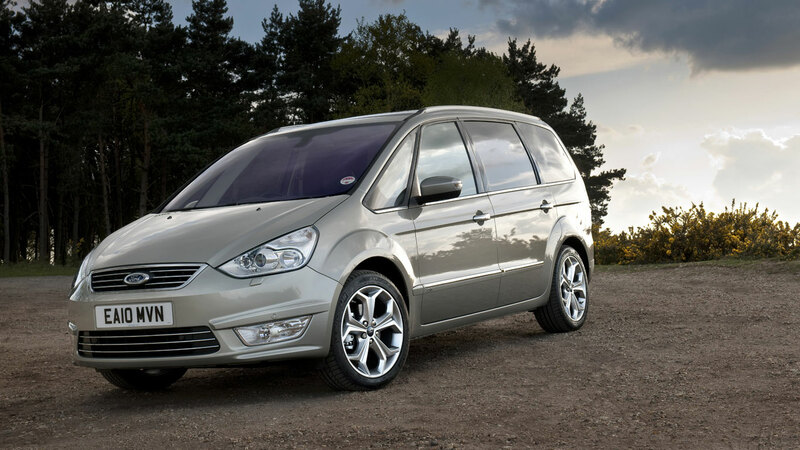 Driver and front-passenger get surprisingly-snug bucket seats swathed in two-tone leather. The rear bench is sculpted in a similar style, which looks great but leaves the middle passenger with the ‘hump’ (perhaps literally). 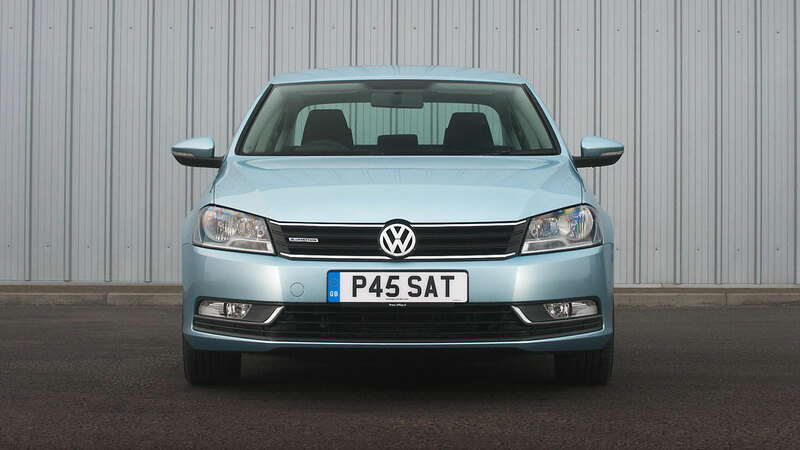 The boot holds 784 litres with the rear seats in place – more than twice as much as a Volkswagen Golf. Euro NCAP hasn’t crash-tested the Range Rover Sport, but the car’s sheer size makes a good result look likely. You can’t defeat the laws of physics, after all. Factor in excellent brakes and a long list of standard safety kit, including advanced stability control and hill-descent control for driving off-road, and the SVR seems a safe bet. Even if you never leave the Tarmac (as most SVR drivers surely won’t), Land Rover’s proven four-wheel-drive system offers improved traction in slippery conditions. 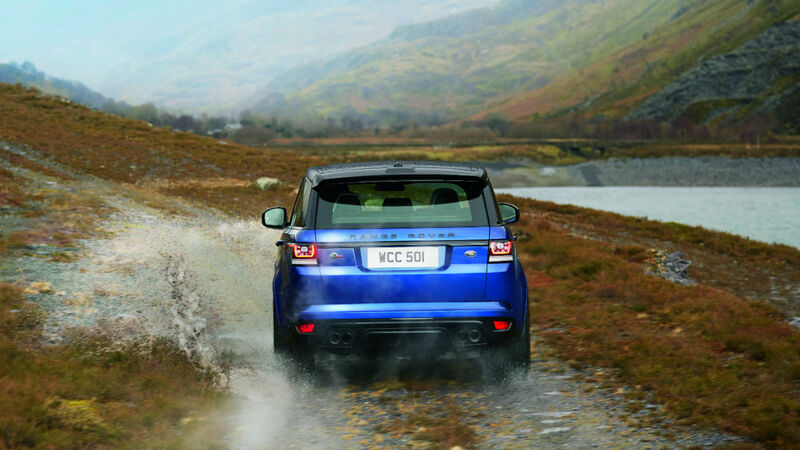 Fit your SVR with winter tyres and it would be almost unstoppable on snow and ice. At the risk of concocting a bad football chant, there’s only one SVR. Land Rover doesn’t plan to dilute the brand by building a diesel version – and you can’t have an SVR bodykit on your common-or-garden Range Rover Sport either. Once you’ve stumped up £95,000 or so, your only choices concern optional extras (of which there are many). Highlights include self-parking (£900), climate control for the rear passengers (£450) and a 23-speaker Meridian hi-fi (£4,000). 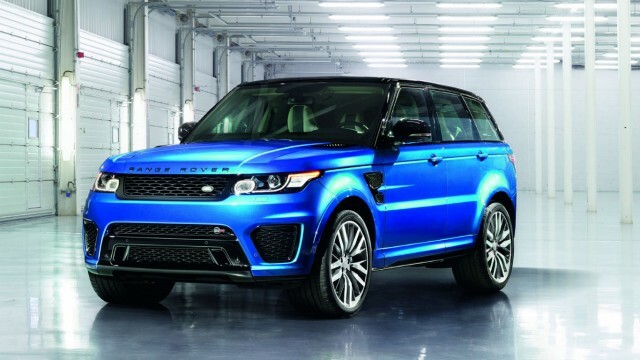 There’s no sensible argument for buying a Range Rover Sport SVR. It has far more grunt than you’ll ever need and consumes fuel at rate that would alarm even OPEC. But we suspect cars like this won’t exist for much longer. Give it 10 years and they will probably be legislated out of existence, so maybe you should buy this charming British brute while you still can. 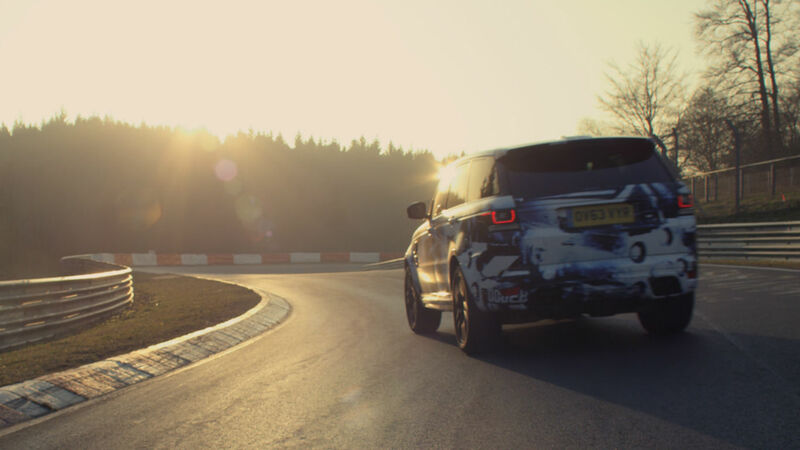 The Range Rover Sport SVR is officially the fastest SUV around the Nurburgring. A prototype version lapped the 13 miles and 70-plus corners of the famous Nordschleife circuit in 8 minutes and 14 seconds. This is a car whose career was cut short by talk. 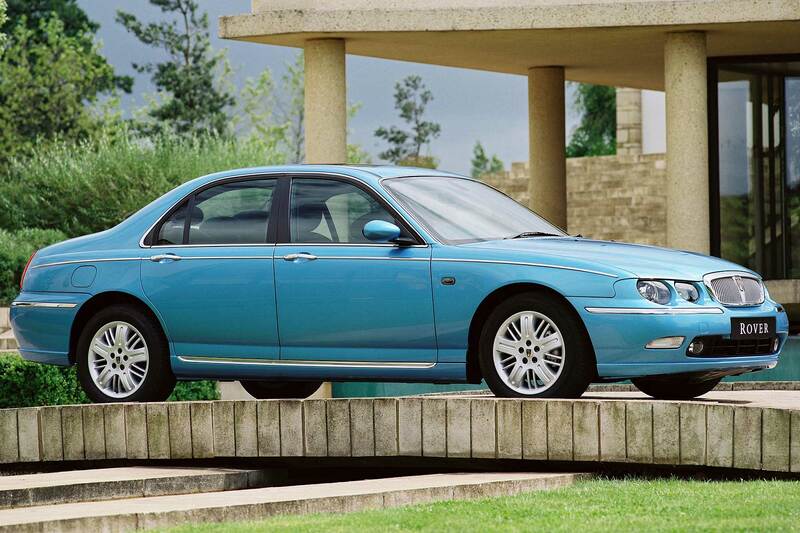 Talk that not only sabotaged one of the best cars that Rover ever made, but brought down the company, too. But a few hours before that poisonous outburst, things were looking quite good for Rover. It had just unveiled the 75 at the Birmingham Motor Show where Jaguar had just revealed its S-Type, and it was gradually dawning on the attending press that one of these cars was rather more convincing than the other. And it wasn’t the Jaguar. 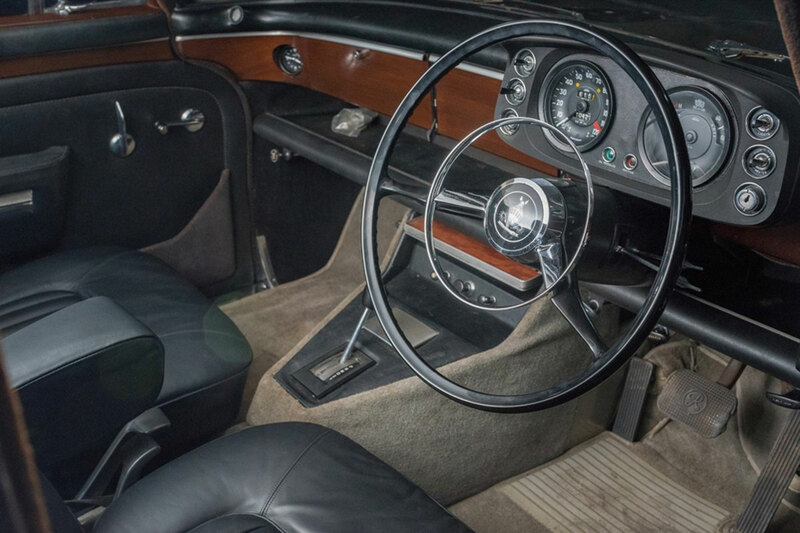 The S-Type’s retro references to the 1960s S-Type look forced to the point of awkwardness, and its cabin was almost bereft of the kind of beautiful detailing, and quality, that makes a Jag cabin so appealing. While the 75 was also a car with a wheel or two in the past, it was vastly better proportioned than the Jag, and had a strikingly original wood and leather interior of decidedly superior finish, although that would not be properly obvious until people started spending time with these cars. 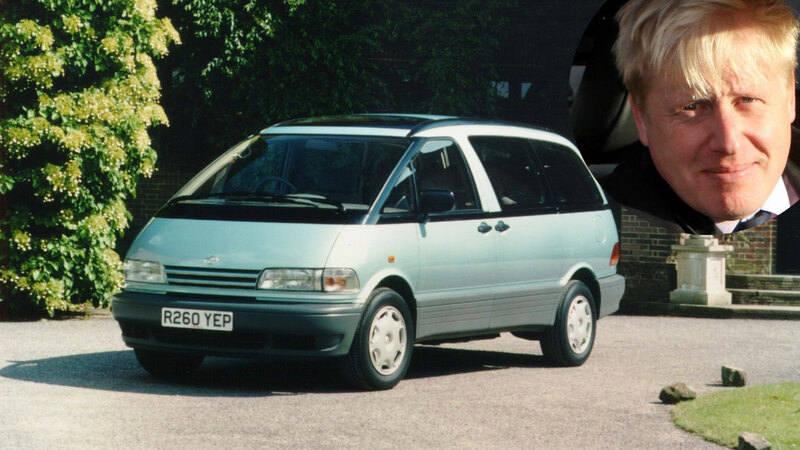 Such was Rover’s battered reputation and long history of launching interesting cars that ultimately disappointed, no-one was getting too excited yet. 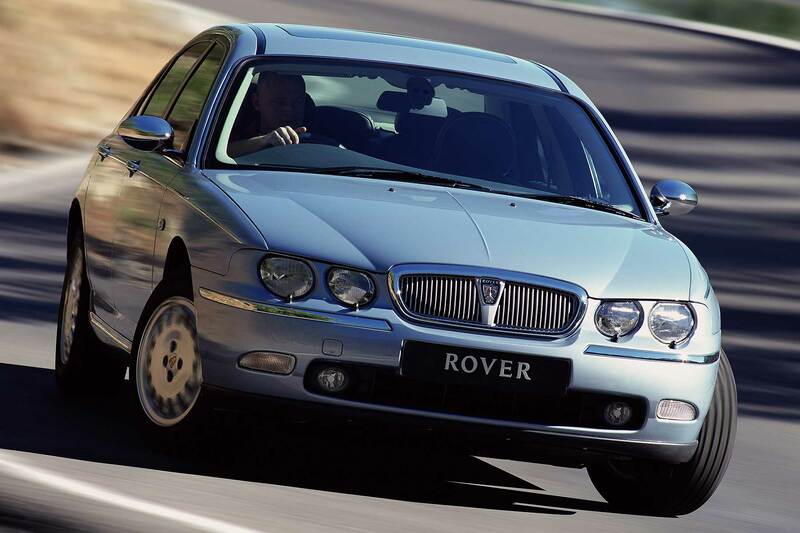 That was despite the fact that this was the first Rover developed under BMW ownership, the German company buying the British one four years earlier in 1994. Especially as the 75 looked like an obvious descendent of the Rover 600 that had come before it. 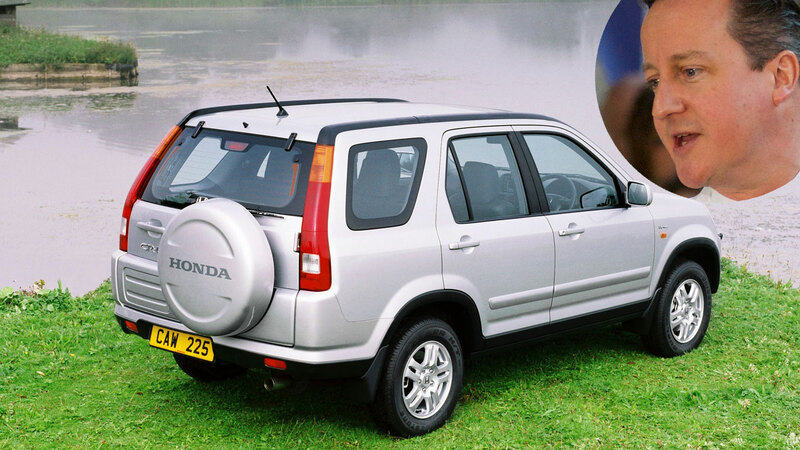 This Honda Accord-based car was handsome enough, and reliable too, but it would be a while before the positive difference between BMW quality and Honda quality, as harnessed by Rover, shone through. 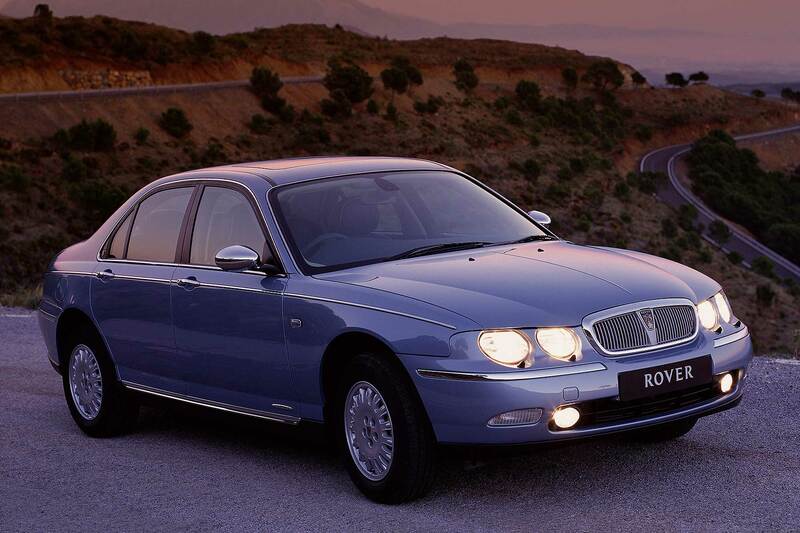 Both Rover and Jaguar were unveiled on the morning of October 20th, 1998. This was press day at the Birmingham motor show, and the first time that either car had been seen finished and undisguised. Late on the same afternoon Rover held a press conference expected to provide wider detail about the car. It was scheduled to start at 4.00pm in a room away from the motor show floor itself, and because the car itself had been revealed hours earlier, many journalists did not attend. They missed a drama far more significant than the unveiling of a new car. The conference started late, kicking off just before 4.30pm, the delay caused by the late rewriting of BMW Group boss Bernd Pischetreider’s speech. Pischetsreider wanted to use the opportunity to petition the UK government. First, because the pound’s rise against the euro was crippling the business. In 1997, Rover’s losses had been cut to £91m. In 1998, the year of the 75’s launch, they were rapidly heading towards a stinging and near-unviable £600m. BMW wanted the government to take action over the currency – Rover was easily the UK’s biggest exporter at the time – and it also wanted the government to contribute £200m towards the huge investment that the German company was about to make at Longbridge for the new Mini and for the smaller Rover R30 project. BMW, which usually likes to conduct such business in private, was having trouble getting over to the government that the exchange rate issue was hugely serious, and that it needed help to update a plant that had seen no serious investment since 1980, 18 years earlier. 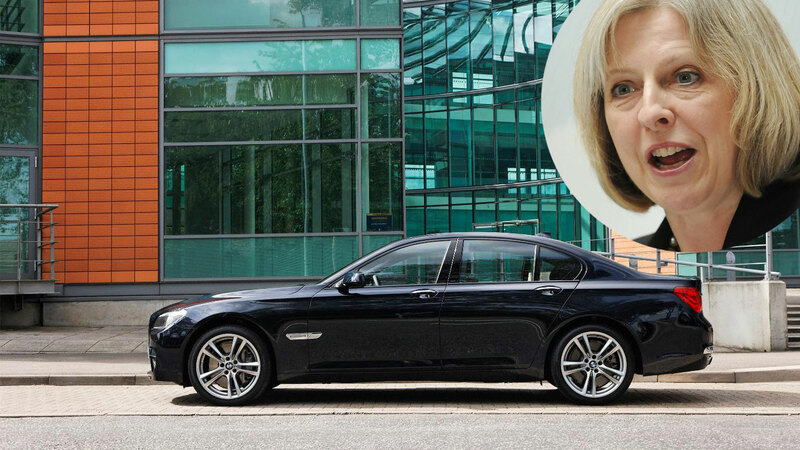 As it was, BMW was now planning to cut jobs and introduce more flexible working practices in an effort to save £150m a year for the next three years. But if it did not get the support, then Longbridge – one of the biggest industrial complexes in the UK, outdated or not – would be wound down. And that is what Pischetsreider outlined during one of the most bombshell-laden post-conference question-and-answer sessions the UK car industry has ever seen. Criticism of Rover’s productivity, the possibility of Longbridge closing and an apparent admission from BMW that its commitment to the revival of Rover might be wavering, did a fine job of sabotaging the 75’s launch. It wasn’t so much a shadow as a total eclipse swamping the car’s birth, the following day’s papers full of the threat to its maker’s future. 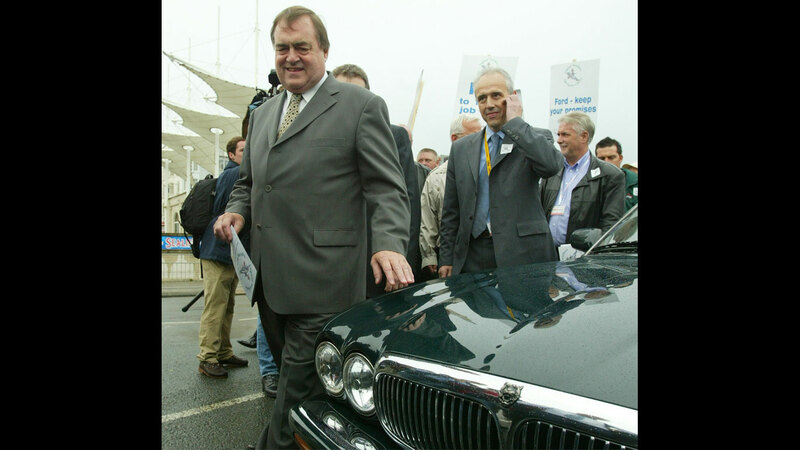 The stories also confirmed what many people within the car industry had known for months – that there was significant conflict between BMW and Rover management, and that there was a sizeable and fast-growing faction within BMW that wanted rid of Rover. ‘The English Patient,’ they disparagingly called it, after the film. Yet the car itself did not look like the product of an ailing business. Granted a decent development budget, improving facilities at the Gaydon development centre, access to BMW’s considerable engineering resources and a parts bin studded with high-quality, up-to-the minute kit, the R40 development team produced a car to match the quality of Rovers produced in the 1950s and ‘60s. The 75 had a particularly stiff bodyshell – essential for refinement, suspension effectiveness and crash performance – as well as BMW’s admired multi-link ‘Z’ rear axle and a sophisticated MacPherson strut layout. It was a layout intended to produce the world’s best front-wheel drive chassis. The engine’s were Rover’s own four and six-cylinder ‘K’ Series – at this point, the issue of the four’s cylinder head gasket design had yet to boil up – and a strong BMW turbodiesel. But the 75 impressed most with its styling. At first, the chrome grille and the body’s curvily understated sculpting looked unexceptional. But the more you looked, the better it got. The way the wings flared over the wheels, the clean-cut flanks, the tasteful deployment of chrome and the unfussy detailing still look good today, and won the 75 awards for its styling at the time. Inside, it got a little radical. 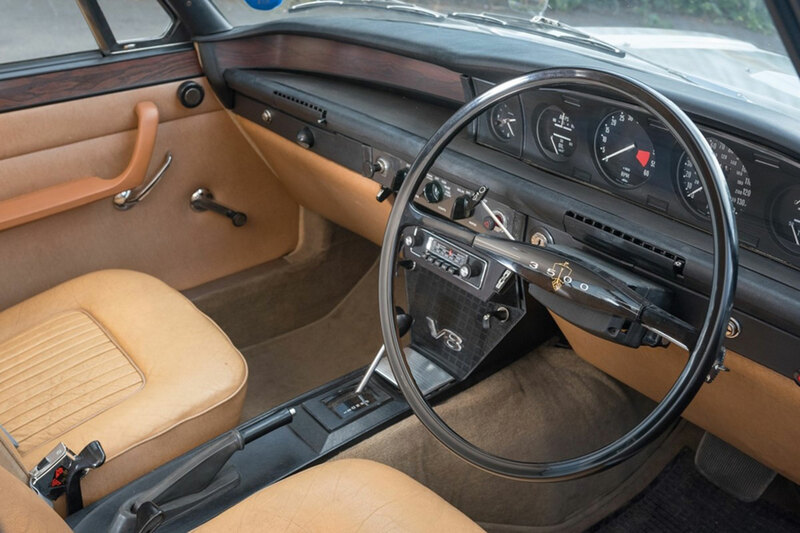 There was the expected wood and leather, but the sculpture of the dashboard, the cream instrument faces, the unusual door trims and the sumptuously upholstered seats produced a particularly inviting cabin, and one of genuinely high quality. The dashboard’s wood was real, and expensive, soft-feel plastics were used almost everywhere that wood, leather, cloth or carpet were not. Better still, the 75 drove very well, impressive in particular for its ride, comfort and civility. Though its road manners were soft, it handled impressively when pressed. By the end of its first year it had attracted plenty of positive reviews, and 15 international awards. But it had not attracted remotely enough customers. The effect of Pischetsreider’s tirade was to severely limit 75 sales, the question of Rover’s survival once again in doubt and intensified by an increasingly regular flow of negative stories. BMW and Rover had originally planned to sell 140,000 75s annually – actually an optimistic ambition even taking account of plans to export more cars. This forecast eventually fell to 100,000 by the time the car was launched six months late – for quality reasons – in June 1999. One year into its career, even that figure looked a distant dream, just under 60,000 cars coming from a Cowley factory that had the capacity for 140,000. Not only did it demand fail to push output to anywhere near that level, but it was not long before the Oxford stopped making 75s altogether. 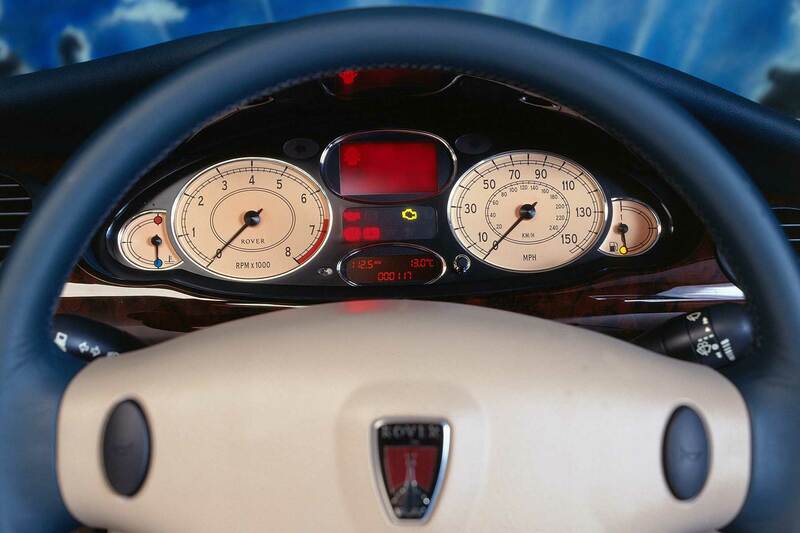 In spring 2000 BMW announced that was to sell Rover, initially to the private equity business Alchemy, who envisaged a much-reduced business that would concentrate on MG, but ultimately to the Phoenix Consortium, lead by former Rover boss John Towers. The Phoenix plan aimed to produce 200,000 cars annually, retained more jobs and was increasingly seen as a better future of BMW’s cast-off than Alchemy’s seemingly brutal plans. Phoenix won the day, amid euphoria that would soon be seen as naively misplaced. MG Rover, as Phoenix renamed the business lasted a little less than five years. 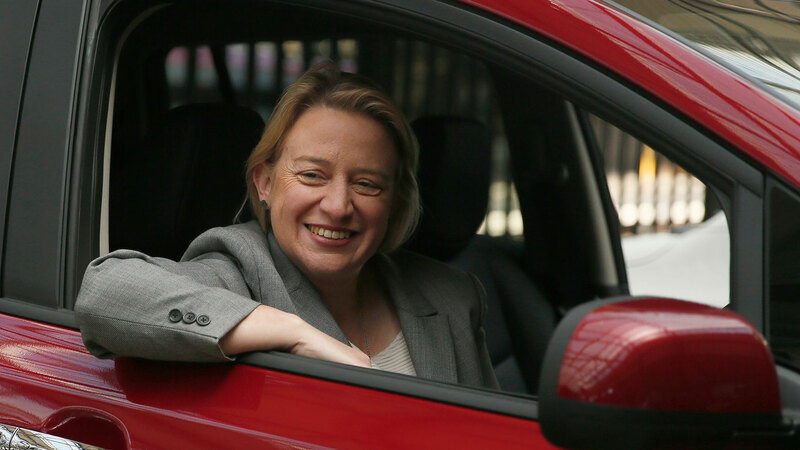 It went bankrupt in April 2005, having failed to find a partner of any significance that might enable it to invest in the much-talked about and ultimately mythical new medium car. In the meantime, the 75 was by far the strongest model in MG Rover’s range, being newer and more completely developed than the smaller 25 and 45. 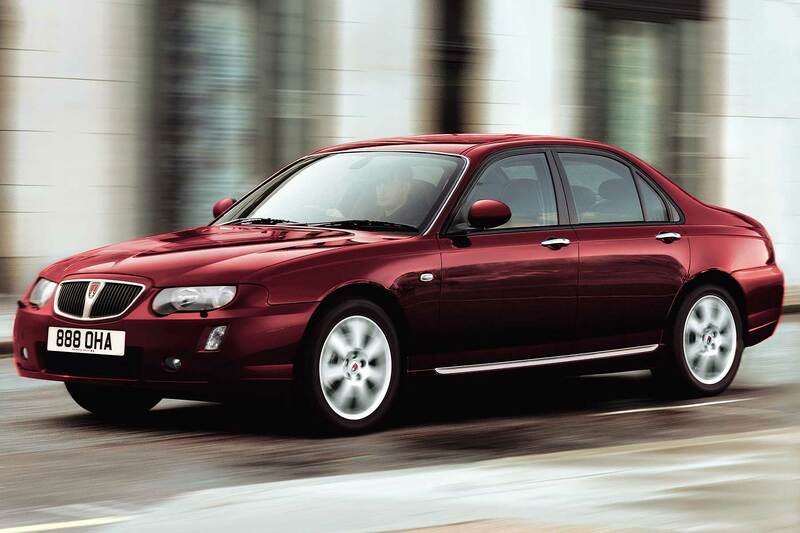 MG Rover was not without its successes, the creation of three MG ranges out of the three Rover models unexpectedly successful, the conversion of Rover 75 to MG ZT producing an engaging and mature sports saloon. But none of this was enough, and nor were efforts to squeeze costs out of the business, a programme called Project Drive stripping components and quality out of the cars. By the end of its life, the 75 had become seriously cheapened, and more like the penny-pinched cars that MG Rover’s predecessors had peddled for decades. Production of the 75 never exceeded the 53,600-odd built in the first year, sitting in the low 30,000s for the next three years before dipping to 24,000 in 2004. In 2005, when MG Rover went bust, under 5,500 were produced. 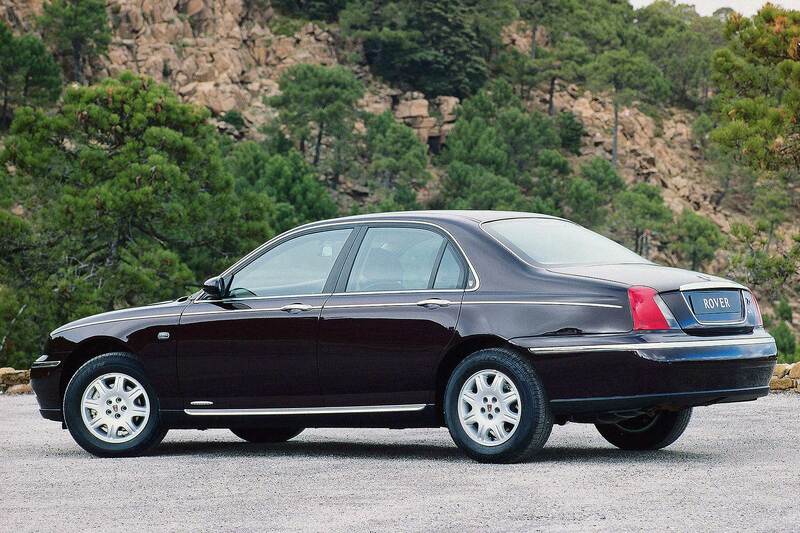 But, the 75 has had a strange and surprisingly long afterlife in China, where it was produced as the MG7 and in facelifted form as the Roewe 750, this version still available today some 17 years after the original 75 first appeared. There’s irony in its achievement of so long a life, given that the 75 was a commercial failure for its creators and a partial cause of Rover’s downfall. Though not as much of one as Bernd Pischetsreider, whose bold acquisition strategy enabled Rover to build one of its best-ever cars, and ultimately killed the brand. 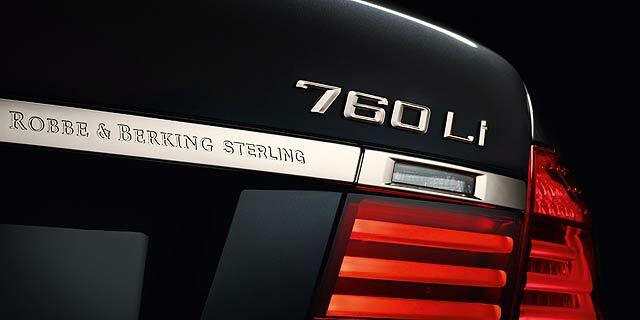 BMW has revealed a new 760Li Sterling range-topping model. Yes, you read that right. BMW Sterling.